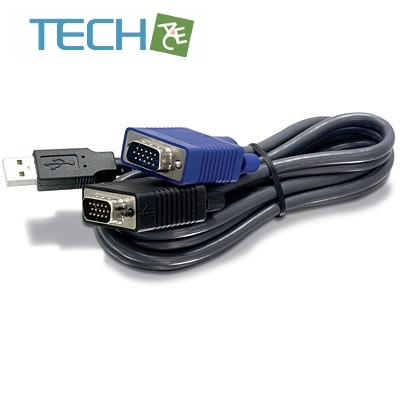 This 2-in-1 USB KVM cables are designed to connect a USB computer to the TRENDnet TK-803R and TK-1603R KVM switches. These cables consist of a USB keyboard/mouse cable and monitor cable bonded into a single device. These flexible, low profile cables come in lengths of 6, 10 and 15 feet.